Two years ago I attended a school district workshop on Implementing Project Based Learning. The two presenters were educators from the more affluent part of our school district but that didn’t matter to me. Although the presenters and I didn’t teach the same demographic of students I still stayed for the entire presentation. The information and resources they provided during their session was phenomenal! When I left the session I was excited and ready to implement Project Based Learning in my classroom. Well, almost ready. When I started purchasing and reading the resources for PBL I realized I was very naive, because I thought there would be resources to support the implementation of PBL with students like mine. Boy was I wrong! My students generally come to me two to three years below grade level and with reading comprehension deficits. So when I decided that I wanted to implement PBL it never crossed my mind that the resources weren’t created with my students in mind. Oh no, this is too much! After purchasing The Buck Institute’s, PBL in the Elementary Grades and Performing Education’s, Implement Project Based Learning From Start to Finish I came to a disappointing conclusion that there weren’t any resources that would make PBL accessible for the demographic of students that I taught. I knew that most math resources weren’t created for below grade level learners or even struggling learners for that matter. I don’t know why I thought the same held true for all resources. To say that I was shocked at this revelation was an understatement! When I realized that I was going to scaffold and adjust the resources that I bought it almost made me give up. I just felt like it was bad enough I had to either create my own math lessons and now this. It was too much to think about! It has been a little over two years since I attended that Project Based Learning session since then I’ve had to wrap my mind around the idea that I was going to have to make PBL accessible for my students. The thought of this kind of made me angry because I felt like working in a high poverty school is difficult enough. In time those thoughts began to fade away and were replaced with thoughts about how excited my students would be to learn something different! 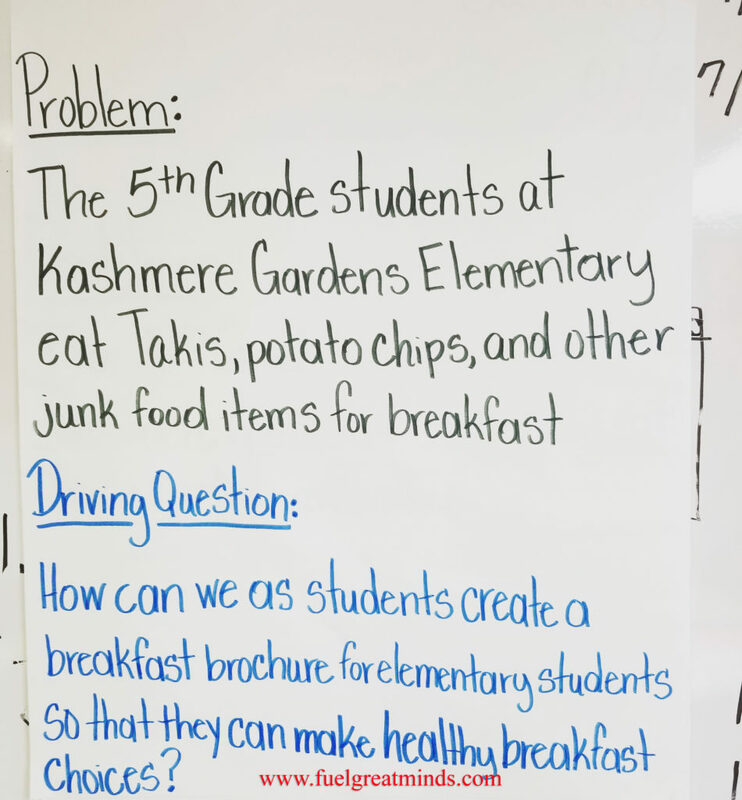 Making PBL accessible for my students meant I had to change the entire implementation process. This wasn’t an easy task because I only had a procedural knowledge of how to implement Project Based Learning. After about two weeks of trying to figure out how I was going to change the lesson plan template I finally figured it out! Because my students have never been exposed to inquiry based learning I was going to have to teach them every component of PBL. This could be done through two-week projects. I figured each project could have a specific Gold Standard PBL focus that was based on the Buck Institute standards. It felt really good to have a plan for introducing Project Based Learning to my students but where would I find time to actually teach this to my students? I have started to implement Project Based Learning by taking the last 20 minutes of each class to work on our project. So far this has been working and the students couldn’t be more excited. Since the implementation of PBL I’ve noticed a huge change in one of my students. Before I began my project he would be so disconnected from math class that he would zone out. It was difficult to keep him on task and completing his math assignments were not a priority. At the end of class after first couple of days after after teaching the students to use Ask Jeeves to find information he said, “I can’t wait until tomorrow!” I was so shocked by the huge smile on his face! 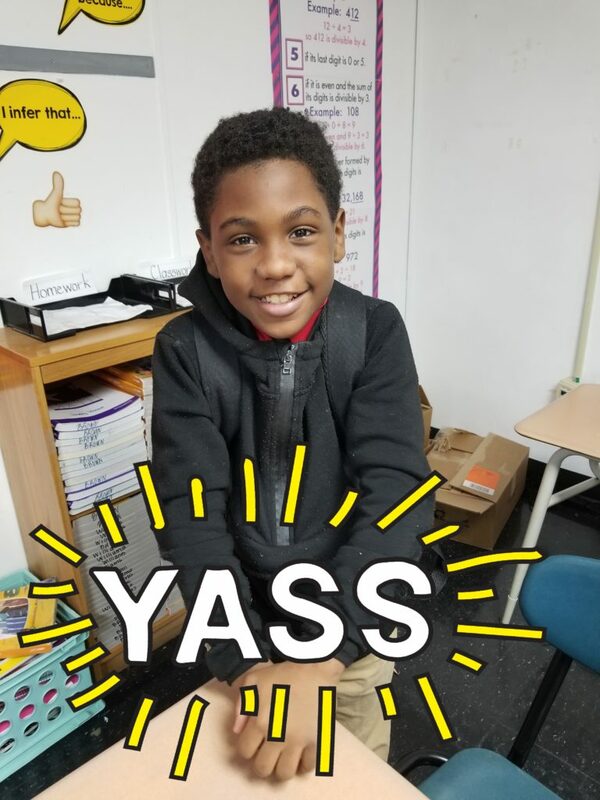 Then the next day after the PBL research he came up to me and said, “I like math now!” It made my heart so happy because this is the exact impact that I wanted PBL to have on my students. This experience with my students almost didn’t happen because I was on the verge of giving up. I’m so happy I didn’t allow my frustration to get the best of me because my student’s new found love of math was priceless! Hello, Nice post, glads to hear PBL is working for your students! I’d love to hear more examples of the projects they do. We’ve been working the past couple of years on a more explicit focus on equity, so I’d like to talk with you about what you mean by “resources to support the implementation of PBL with students like mine.” Our book PBL in the Elementary Grades was written before our focus on equity, so I’m wondering what about it didn’t fit your needs. 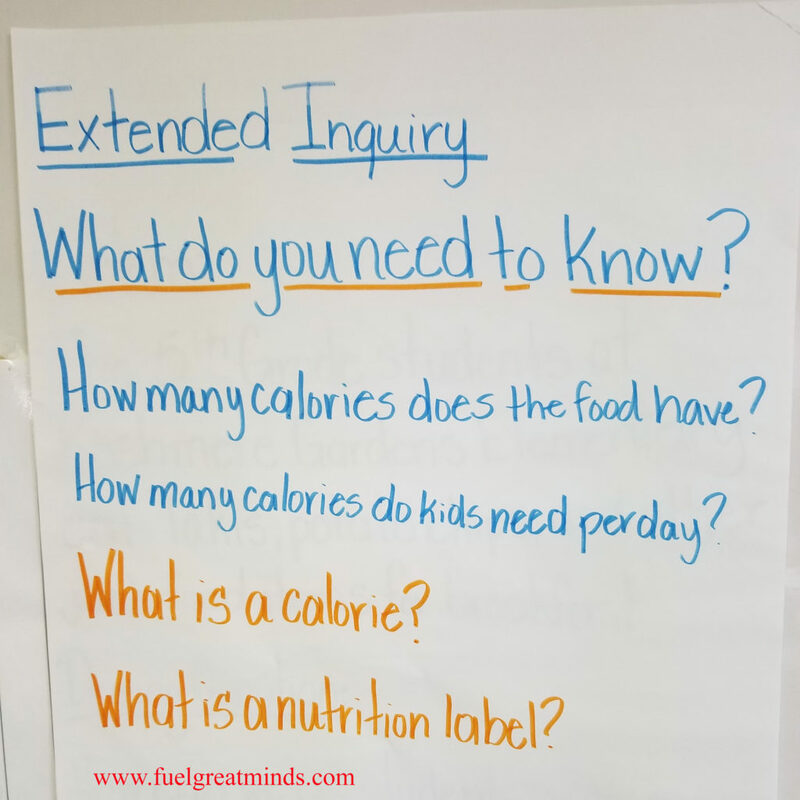 For example most students, including white middle-class, “have never been exposed to inquiry based learning” so that’s why we described a relatively structured, step-by-step approach to PBL. Btw, our new website PBLWorks.org has lots of new resources, including sample projects, that are aimed at supporting ALL students to do PBL. Thanks – pls email me if you’d like to talk further!